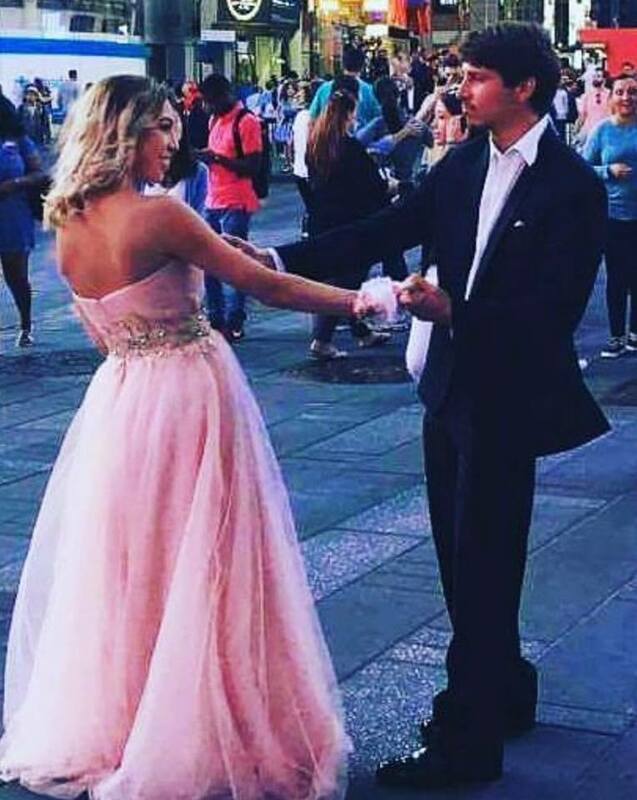 Here it is…my son Kevin and his girlfriend, Anna dancing in Times Square. Here’s the larger image with many onlookers and observers taking photos. Yes, they danced and yes, there was music playing. Kevin met Anna while producing, directing and acting in his first feature film, which he also wrote. Maybe one day we’ll see this couple on the big screen…you never know. A beautiful love story and a beautiful couple. So perfect! You are a wonderful mom and person! Thank you Robin! That means a lot! Love my boys! It shows in so many ways…. They look beautiful. And it’s beautiful how genuinely happy you are for them! Thank you! I am! Such a cool Prom Night photo! Wow, how wonderful! A beautiful picture of a beautiful couple on a beautiful night for a special occasion. I’ll bet you’re the proudest Mom, ever! Bite your tongue. Not ready for that at all. What a storybook couple! They both look so perfect! You must just be bursting with pride!!! Love it!!! That’s one of those proud mama bear moments!